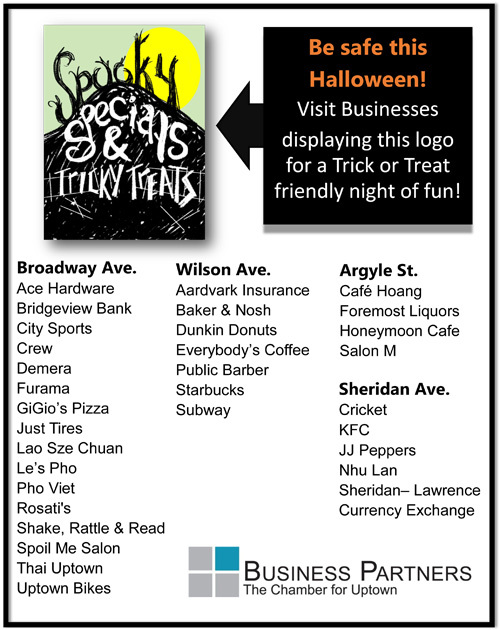 "Local Uptown businesses are once again pulling together to make trick-or-treating safe this year. Please click below to find a list of those who have committed to participating this year. Please note this list is not exhaustive." Support uptown businesses and be smart out there.